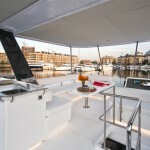 Experience the thrill of a Power yacht charter aboard The Moorings 433PC. 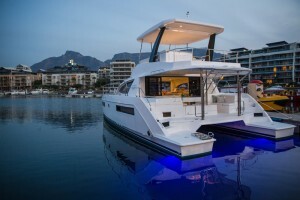 Created in collaboration with renowned builders Robertson & Caine, this mid-size catamaran is the ideal vacation platform for families and groups of up to 8 guests. 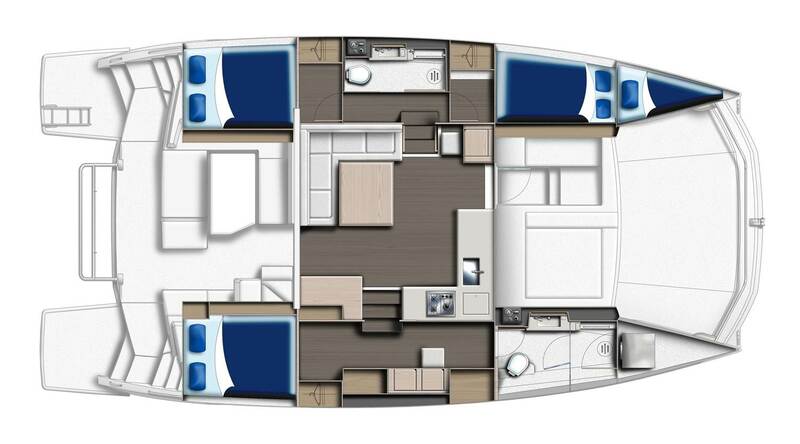 With more interior volume than its predecessor, The Moorings 393PC, this new yacht features a generous indoor living space complete with air conditioning and a fresh, modern look throughout. 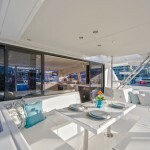 A well-appointed galley sits forward in the saloon while a forward-facing settee and table are now located aft. 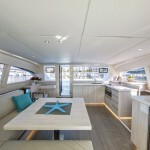 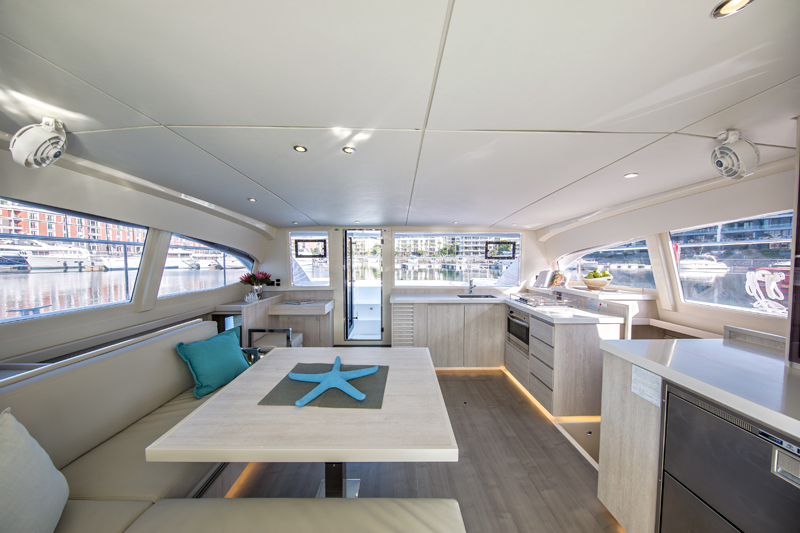 Behind the settee, large sliding glass doors open to the aft cockpit, providing panoramic views and an open layout that makes communication between guests an absolute breeze. 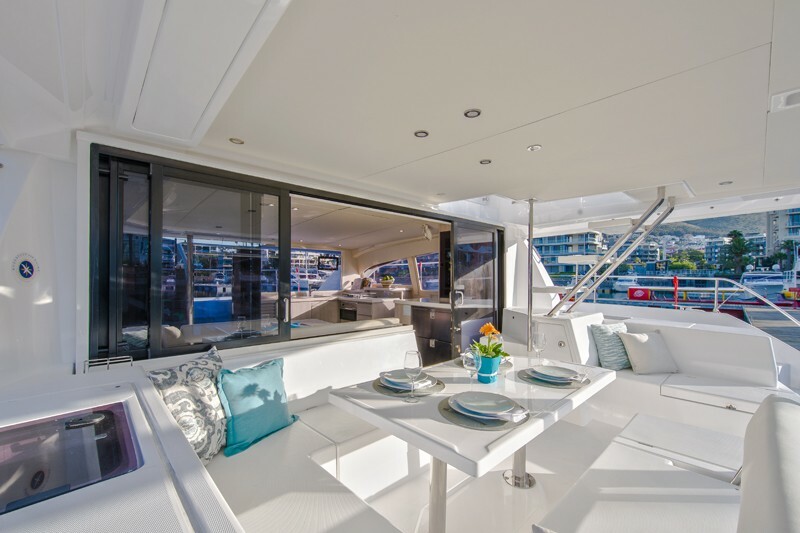 An additional access door opens to the foredeck, allowing for increased ventilation throughout the yacht. 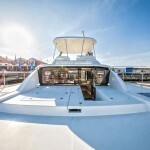 With power from an onboard generator (or shore power when available), the 433PC houses a full range of electronics including a state-of-the-art Raymarine Instrument Package, indoor/outdoor stereo system with Bluetooth and USB connectivity, flat screen TV/DVD player, Cruisair air conditioning and ventilation fans throughout the yacht. 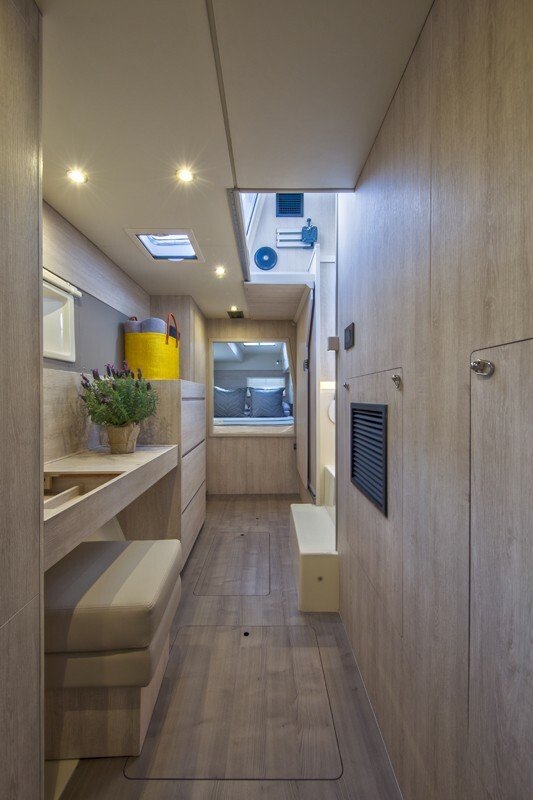 Below deck, a spacious owner’s cabin fills the entire starboard hull with ample storage and counter space, a large double bed, and a full, private bathroom. 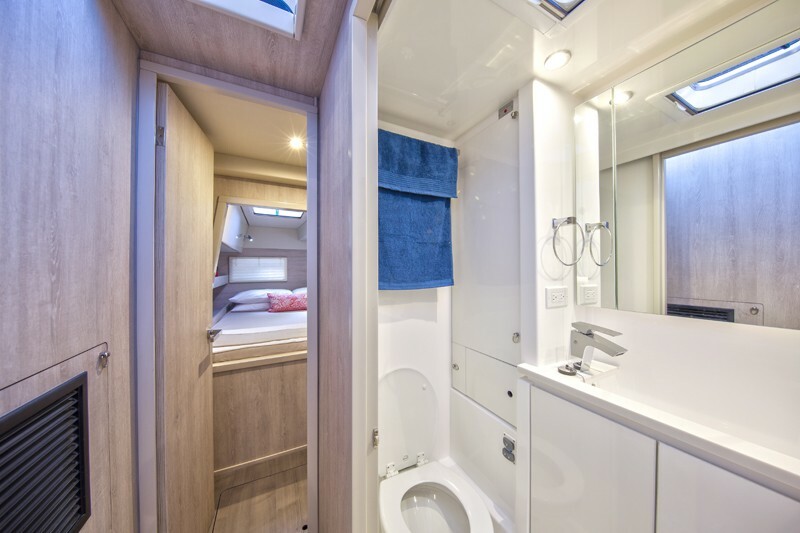 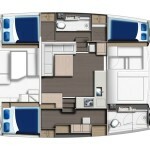 Two additional cabins, each with double beds, share an additional bathroom on the port side of the yacht. 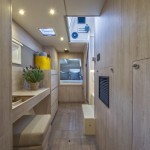 This new design provides the privacy parents or couples may want with generous space for all guests aboard. 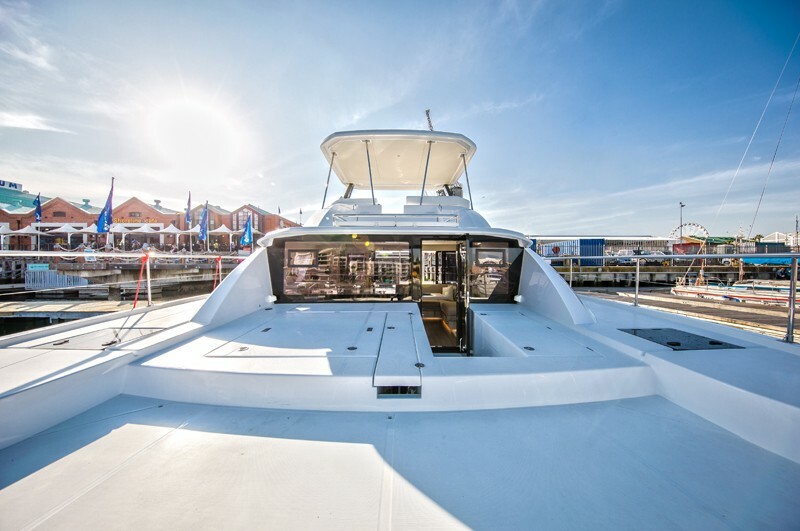 Atop the yacht, outdoor comfort culminates on the spacious fly bridge, which offers 360-degree visibility, ample seating, wet bar and direct access to a sunbathing platform located forward. 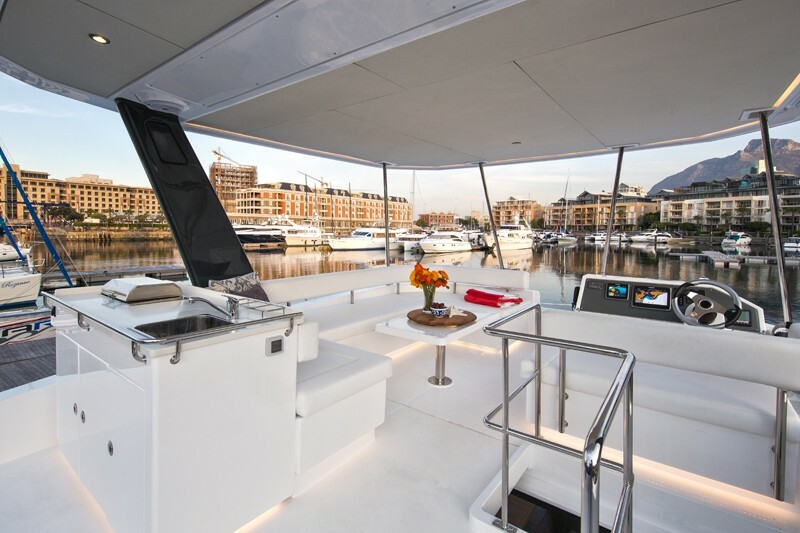 Also on the fly bridge, the fully equipped helm station controls the yacht’s twin 260hp diesel engines, providing comfortable cruising speeds and low fuel consumption consistent with all Moorings Power yachts.